As we are getting closer to our big day - in exactly ten days I will be saying 'I Do' to the most gorgeous man I've ever met wearing the most stunning dress I've ever worn - making 10,000 decisions is growing out to making 100,000. Luckily I'm still enjoying being engaged and with that every little part of the wedding preparations. I'm trying hard to make sure every little detail is there for our most beautiful day but in the mean time I'm trying even harder not to turn into a perfectionist planner. After all it will be us and our guest who will make this day one of the most memorable moments of our life. And when thinking about the 23rd of May becoming a memory to last a lifetime I've been on the lookout for the perfect wedding-day perfume. A fragrance can trigger so many memories and so I wanted something classic, elegant and sophisticated, sure to stay part of my favorites through all ages. Miss Dior was the answer. 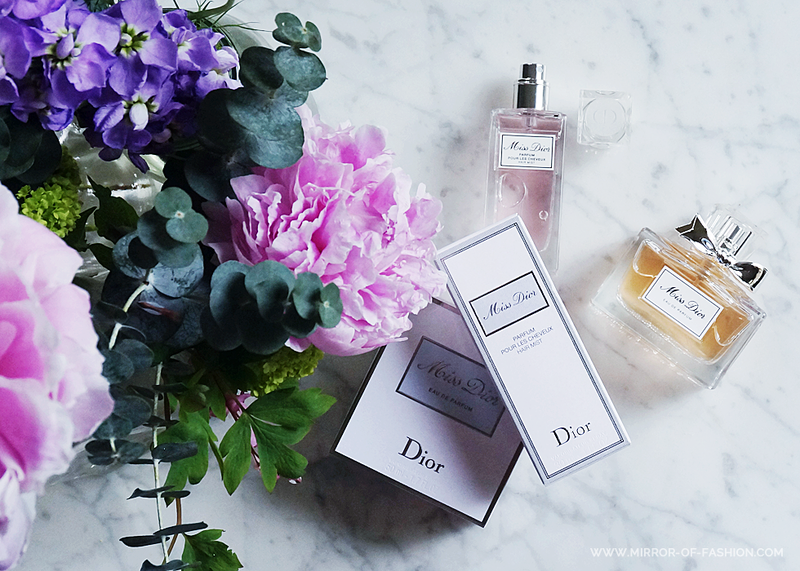 The Miss Dior Eau de Parfum and brand new Hair Mist couldn't be more wedding-worthy. The romantic and playful appeal will be the ideal extension of my wedding dress and the floral and feminine essences are screaming spring wedding to me. Bridal fragrance, check!